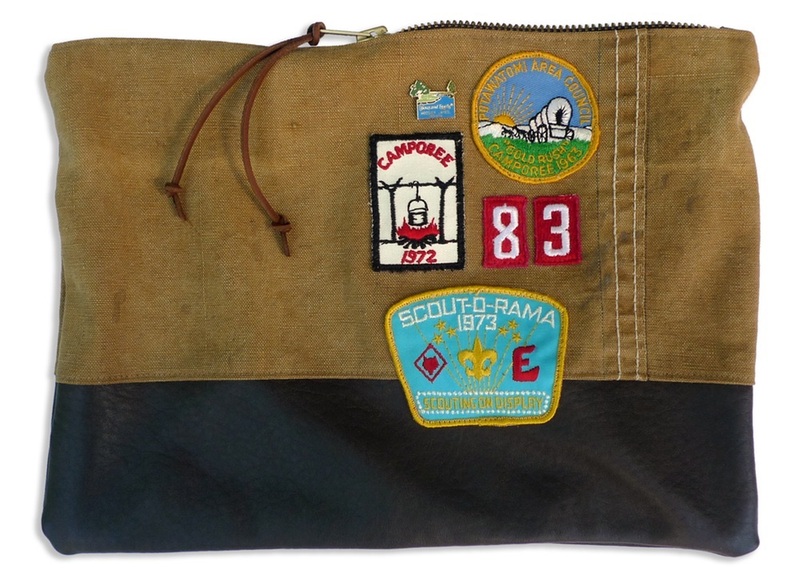 That’s the “Scoutmaster 83” large zippered pouch. 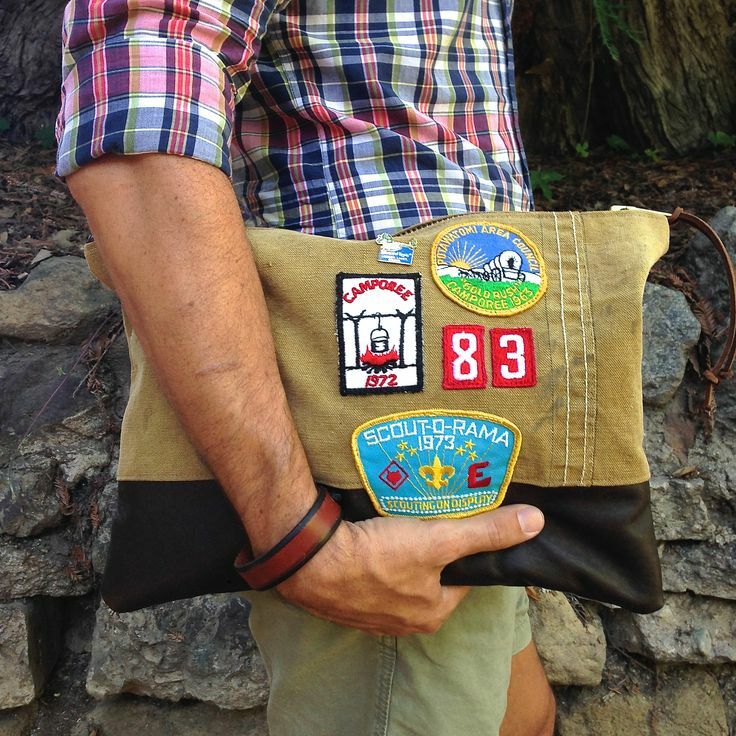 Den & Delve created this amazing bag from a piece of an old canvas duffel bag and a slice of leather from a vintage jacket. It’s lined in the greatest red serape too. Isn’t it just the coolest? 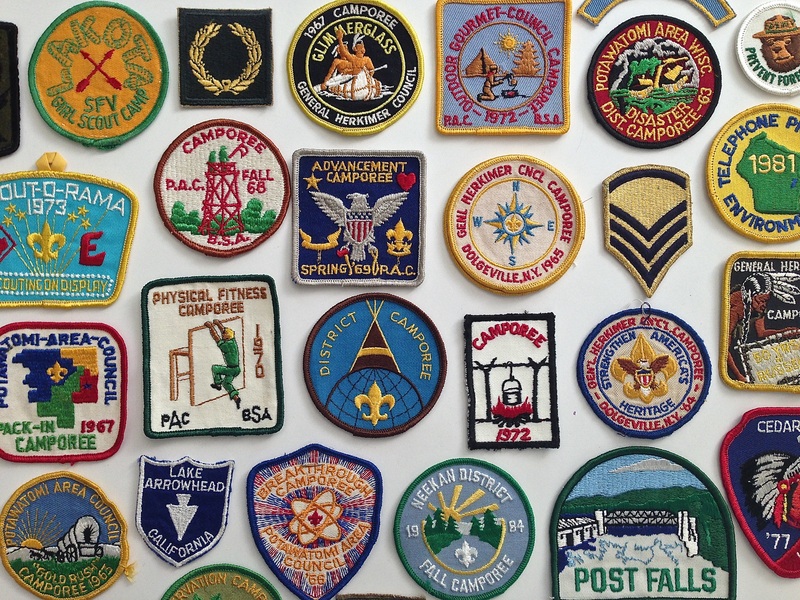 OOOhhh, and how about those patches? 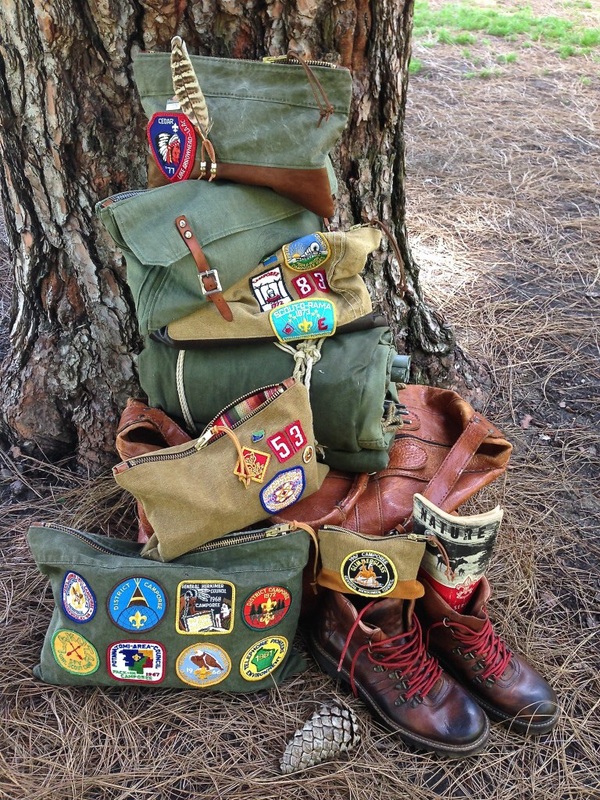 They’re vintage Boy Scout camporee patches and pins from the 60’s and 70’s. 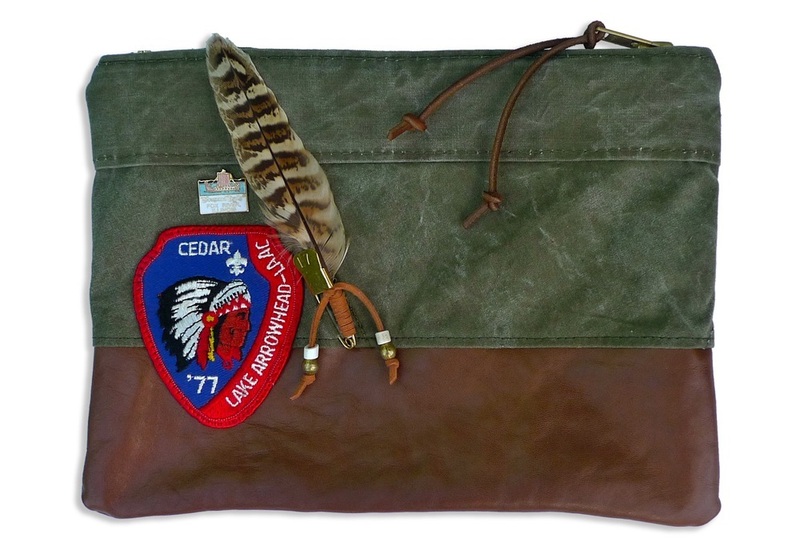 Y’all can find this bag, and a handful of other one of a kind handmade bags, for purchase in the Den & Delve Shop. 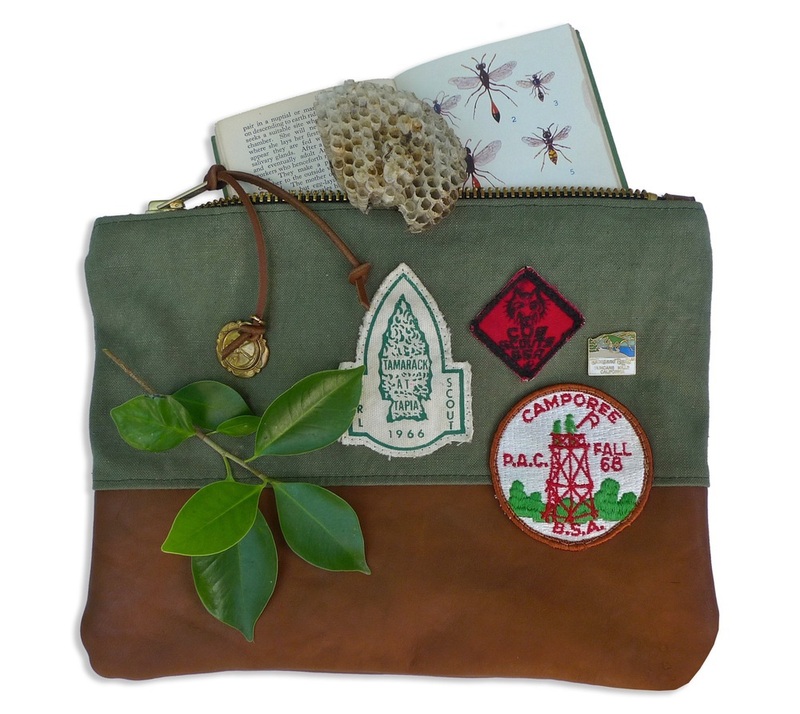 Be sure to check out the Den & Delve Blog for more of the story behind these limited-edition (When they’re gone, they’re gone) bags inspired by nostalgic childhood summers. Can’t you just smell the campfire, pine needles and “Deep Woods Off”? I know that I can. Same here Judy….I have all those elements, just need to fit them together now. Just found your blog-Love you guys and your cool style. I’m having fun scrolling back. Leslie, we can never get enough comments like this!!!! Just doing what we do and so happy when someone like you connects with it! Happy scrolling, you have a bout 500 posts to enjoy! Seriously though, happy to hear you are inspired – that’s equally important to me. Enjoy!